Medical Spa Woodland Hills is the ideal facility of choice among women and men seeking rejuvenating skin care procedures. At ABM Medical, our customers are treated with the latest technology, and also receive get expert MEDICAL consultations from our skilled DOCTORS unlike other medical spas who use unqualified nurses or medical staff. Our location offers the latest trends in beauty and spa procedures, delivering the best skin care experience ever. Our facilities offer FDA-approved procedures like Botox, Laser Hair Removal, IPL-Skin Rejuvenation, Microdermabrasion, Chemical Peels, Collagen and Leg Vein Treatment. We work only with the most advanced laser equipment to achieve your desired results. Our medical staff is one of our most valued assets and they are trained in a culture of warmth, friendliness and customer service. Everything at the medical spa is designed with your comfort and convenience in mind, even our business hours which are flexible to adjust to your needs. Making you look good and feel good is what we are here for! 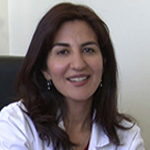 Dr. Maryam Mortezaiefard is a board certified internist with extensive training in the field of cosmetic laser and aesthetic medicine. 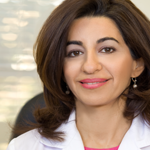 Dr. Mina Mortezai is a double-board certified physician in Internal Medicine and Pediatrics, along with many certifications and training in aesthetic medical procedures including Lasers, Botox and dermal fillers such as Restylane. This sister duo both have great devotion to making people beautiful and confident in themselves which has been the foundation of their pursuit of excellence in the field of Aesthetic Medicine. They practice Internal Medicine and Pediatrics with the same passion, and believe greatly in patient education and empowerment.